Join us for the George Guy Memorial Tournament at R & L FARMS POLO CLUB, August 26th – 28th. This tournament is a great way to celebrate your polo season, and it’s unique format makes for fun, fair play. * Everyone gets to play – if you are a player, your in!! * Only have 2 chukka’s? Team up with someone and play this fun event! Call Lise at 303.378.7692 and be included in this fun event! Fox Hunters are already legging up their mounts. Mark these dates on your calendars! Join the Arapahoe Hunt Cross Country Pace at the Colorado Horse Park, September 23rd! Course starts at 9am, and a food vendor will be there, but you can bring your own lunch. Always fun to watch as many of the jumpers dress in costume and have a great time dressing up their horses as well. Division C – Fences optional. Great for beginners, kids. Fences available from 2 ‘3″ up thru 2’7″. Pass thru the flags, and you are good! MAY – all easy practices, getting horses and players in shape! June 25/26 – 20/30 Denver Polo Classic @ Columbine Polo Club, Littleton, Co – Get your tickets early! Bucket List Polo – Sign up for this summer!!! Never played polo before? 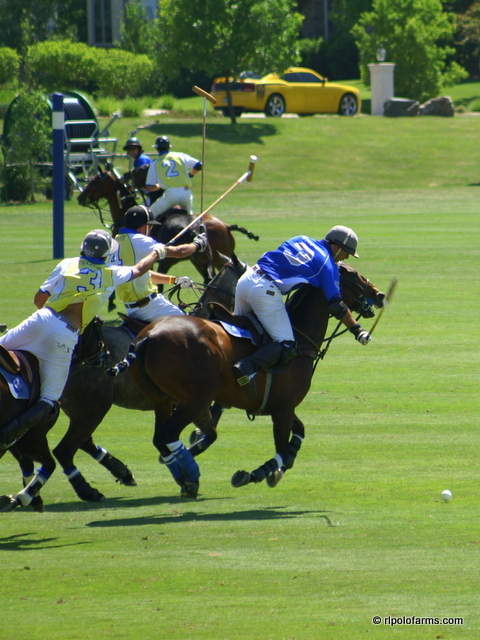 Not a problem – our polo lesson is just right for you! During the 2 hour introductory Bucket List Lesson, we will lead you, in a group lesson with other new polo players, through a graduated program of learning the rules and tactics, the polo swing and polo riding on a polo pony that is geared to your level of riding experience – from the non-rider to the experienced rider. You will then after some ‘stick and ball’ practice at hitting the ball from the pony and have some fun! Practice hitting: Club provides foot mallets and instruction prior to mounting on the real horses! Riding: Mounted on very quiet, safe horses geared to your riding experience, you will practice riding and then hitting the ball under instruction. Learn to move, stop and turn your polo pony. Chukkas: Everyone has the opportunity to play a ‘mini game’ with an instructor on each team. The team scoring most goals wins. Each player shall be a USPA member who reached his/her 50th birthday prior to the event. The aggregate age of each team must be a minimum of 220 years. Entry requirement of $150 per player, payable to the Polo Training Foundation. Players must enter as an individual and the Club Tournament Committee shall form the teams to assure even competition. No player with an individual handicap of more than two goals is eligible to play. This is a fun tournament that encourages players from anywhere, USPA rated or not, to participate in a fun weekend. Teams are made up on Friday Night Aug 28th, with the highest rated players present becoming Team Captains. Captains go off and take turns picking players, and may end up with 4 – 6 people per team, based on how many chukkars each player can play! It’s all for fun at the end of the season! Entry fee will be posted later. Stabling available! We look forward to those traveling to come and stay! Camp out! • Entry deadline, Tuesday night prior to event. Include Team Captain, ratings of all players, & substitutes. Each team captain is responsible for confirming all players are USPA rated and paid up. Email attached form to rlpolofarms@gmail.com, or fax to 303.646.2525. • Draws are the Wednesday nite prior to the event, @ 7pm at R & L Farms, captains attend or call (303.378.7692), or by proxy. • Game times 11 and 12:30 pm, at our fields, Elizabeth, Colorado. May be adjusted based on time entries. • Finals on Sundays, along with a BBQ. Bring a dish! Tailgating encouraged! 2014 Polo just a month away!! Start planning your polo season now! Opening day May 17, 2014, and you’ll want to have your horses up, and be in shape!! Dues go up April 26 2014,….